What do the 10 heads of Ravan in Hinduism signify? 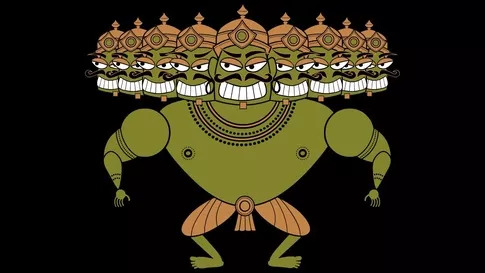 Ravana’s ten heads is a metamorphication of his knowledge of the six shastras and the four Vedas. His original name is “Dashagriva” (a monster with 10 heads). Dussehera is a festival when effigies of the demon king is burnt. This is a metamorphic representation of cleaning your own mind, getting rid of the negative forms of love and maya that traps the mind. which means winning those 10 distortions of mind.